What child wouldn’t want to read about being a daredevil and accomplishing their dreams? 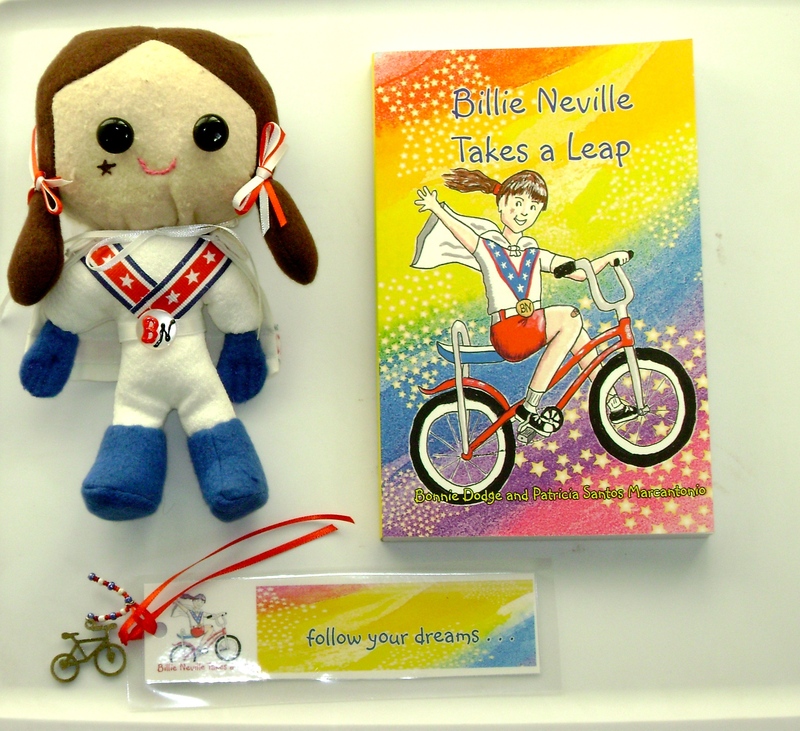 This limited edition package includes an 8 inch Billie Doll, a Follow Your Dream Bookmark, and the 219 page book, Billie Neville Takes a Leap, ISBN 978-0-69220-884-7. This would make a perfect gift for the young reader in your home. Cost is $30, which includes sales tax and shipping & handling. Quantities are limited so don’t delay. You can order here. 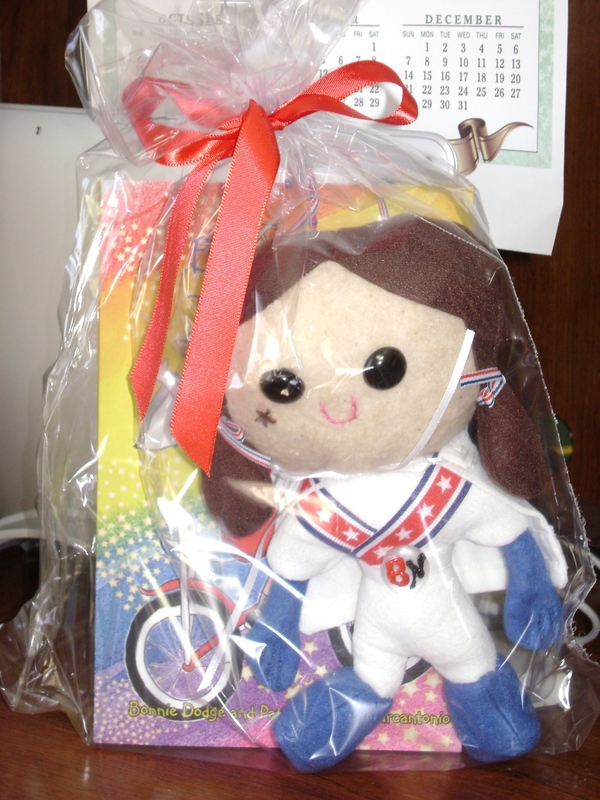 Ten-year-old Billie wants to be a daredevil, just like her hero Evel Knievel. She also wants a best friend. Riding “the best bike in the whole world,” Billie’s desperate to enter a bike jumping contest with three boys named The Meanies and show them her cool skills. When Evel comes to town to jump the Snake River Canyon, Billie learns she has to be a friend to make friends and that not all heroes have to soar over canyons.